Laura Bailey livens up the moody color in a plaid midi and delicate button-up. 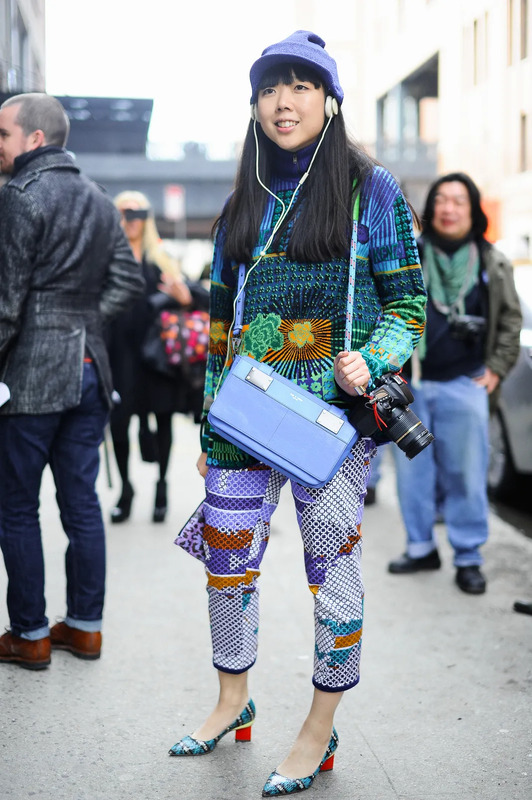 Eva Chen mixes florals with a bold tee and Proenza Schouler bag. Julia Sarr-Jamois pairs a gray top with a red-and-white skirt, though the star of the show was definitely her purple leopard-print clutch. Olivia Palermo balances her beaded green jacket, paint-spattered shorts, and snakeskin flats with a neutral satchel.